At the April Veteran’s Art Program session at AAG, a student from ASU’s Cronkite News program filmed the session and interviewed participants. See the video by clicking here. If the link does not work go to Youtube.com and search for Cronkite News 4/28/2016. Monday, May 2, 2016, the AAG Sculptor’s Group will meet at Paradise Valley Community College, 18401 N 32nd St for a hands-on Raku Night event in the Ceramics Studio. All AAG members may attend. Must arrive by 7:15pm to glaze a ceramic piece made by David Bradley. RSVP by calling 602 828 4713. The Raku process was invented in Japan in the 15thc to make ceramics to be used in the Tea Ceremony that fit with the aesthetic of Zen Buddhism. Today’s Raku process retains the organic aspect of the original Japanese style Raku but has added metallic effects that bring exciting appearances to the ceramic pieces. Bisque fired ceramics will be glazed with glazes designed to react to the fast process. After complete drying out from the glaze, the pieces are placed into a hot ceramic kiln and fired quickly to temperatures above 1800 degrees. In as little as 20 minutes, the pieces are removed from the kiln with tongs and placed in a container with newspaper and sawdust and a lid put over to cut off oxygen. The oxygen poor atmosphere for the burning paper and wood draws the oxygen out of the glaze, causing the exciting metallic effects Raku is known for. After 20 minutes of cooling the pieces are revealed. Scholarship Chairs Tristyn Bustamante and Gayla Bonnell announce the 2016 awardees. Arizona Artists Guild is pleased to announce that it has awarded $7,000 in Visual Arts Scholarships for the 2016 year. Begun in 1993 the AAG Scholarship Program has given over $100,000.00 to university enrolled, full-time fine art students in the State of Arizona. Award recipients receive scholarship money deposited directly into the student’s college bursar account. In addition, they receive a one-year Arizona Artists Guild membership, and participate in a group exhibition of their work at the prestigious Shemer Art Center and Museum in Phoenix. This year’s scholarship exhibition will be curated by 2015 scholarship recipient, Zachary Valent. Valent was awarded the 2015 Guest Curator Award which provides a fantastic opportunity to be the sole curator of the award exhibition. Funding for this award is given by Shemer Art Center and Museum through financial contributions made by the Roney Family Foundation. The exhibition, titled, New Art in Arizona run from March 17 – April 28, 2016. Shemer Art Center is located at 5005 E. Camelback Rd, Phoenix, AZ 85018. You can visit the exhibit during regular hours or join us for a reception on March 17 from 6-8pm. For more information on Shemer Art Center and Museum visit ShemerArtCenter.org. Each award recipient will give a 10 – 15 minute presentation of their work on May 17 at Arizona Artists Guild, located at 18411 N 7th Avenue, Phoenix. Come see what kind of new work student artists are working on! There will be a chance to mingle and meet the artists and the curator after the presentations. We hope to see you there!! 2016 was an historic year, marking a record number of applications from community colleges, undergraduate and graduate students. This made the juror’s work most challenging not only because of the volume of applicants but also due to the innovation, quality and artistic expression of the works submitted. Congratulations to all who submitted! PVCC Fine Arts Professor David L. Bradley is leading a group to explore the arts of Cuba next June 15-23, 2016. Cost: $3400 approximately, includes RT airfare, hotels, meals, tour guide, visa. Does not include tuition for ARH100 Intro to Art course, $250. Follow this link for more information and to register. Enrollment deadline and payment deadline is March 1st. 2016. 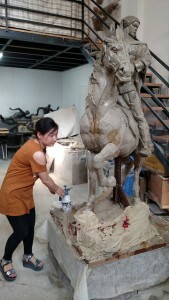 Here is a link to the photos taken by David L. Bradley in China of the sculpture exhibitions by Chinese Fine Arts graduate students. AAG and Mensa member, Grant Delph published an article about AAG recently. Here is a link to the article. Check it out! Any resident of Arizona is eligible to enter the AAG Open Statewide Juried Exhibition. Artwork in all media is accepted. $1750 in cash prizes will be awarded: $1000 for Best in Show, $500 Award of Excellence, and $250 Award of Merit. The exhibition will be held at the Gallery Glendale at the Westgate Entertainment District, March 4-26, 2016. Award reception will be March 5. Entries are submitted online via entrythingy.com. Click here for the prospectus which gives all the details about the exhibition. It is with deep gratitude that I write to you today as a member of this creative community that values the connection between art and humanity. At AAG we are passionate about igniting the creative spark within each of us. We do this with an open sharing and exchange of ideas and expressions without concern of competition, along with words of encouragement and support. Collaboration, creative thinking, and sharing are all words that describe the culture at AAG. I see this in action through the success of our programs such as the Veterans Art Program, the Scholarship Awards, and an upsurge in attendance and participation in the monthly meetings and critiques. Entries to our Exhibits has also grown and we’ve recorded sales at almost every show. Several workshops last year reached sold-out capacity, some with wait lists! Membership has not only increased, but we are also attracting diverse artists. Our membership ages range from the 20’s to the 90’s. I am immensely proud of the milestones we have met in the past few years during my tenure as president. I look to the future and envision an expanded community outreach program, increased scholarship disbursement, expanded mentorship programs, new arts events for the general public, stronger connections with area community colleges, a significant role in the city of Phoenix public arts development, and enhanced collaborative working relationships with our sister arts organizations. All of this while continuing popular programs such as the Open Studio sessions, Life Drawing sessions, and the Art Supply Exchange. All this takes time, dedication and money. Please consider becoming a more active member through volunteering your time and/or donating to the general fund which strengthens AAG at its core, building a foundation that supports every aspect of our guild. –your money. Simply select the amount that is right for you, be it one time or recurring monthly. You can donate on line, www.arizonaartistsguild.net/donate/, by phone, 602-944-9713, or with a check payable to Arizona Artists Guild, P.O. Box 41534, Phoenix, AZ 85080-1534. –your gently used art supplies to the art supply exchange. –your time and skills by volunteering. There are so many ways you can participate. You can donate an hour of your time during a special event, join a committee or a seat on the board. The choice is yours, but this is the most important way of donating of all. Your time and energy is the secret ingredient that will insure that AAG continues to be a vital part of the arts in Phoenix. Your contribution will ensure we continue spreading positive, transformative change to members and non-members alike through our exhibitions, workshops and programs. It is because of your involvement AAG continues to thrive after 87 years. With heartfelt gratitude and warm wishes for the New Year. 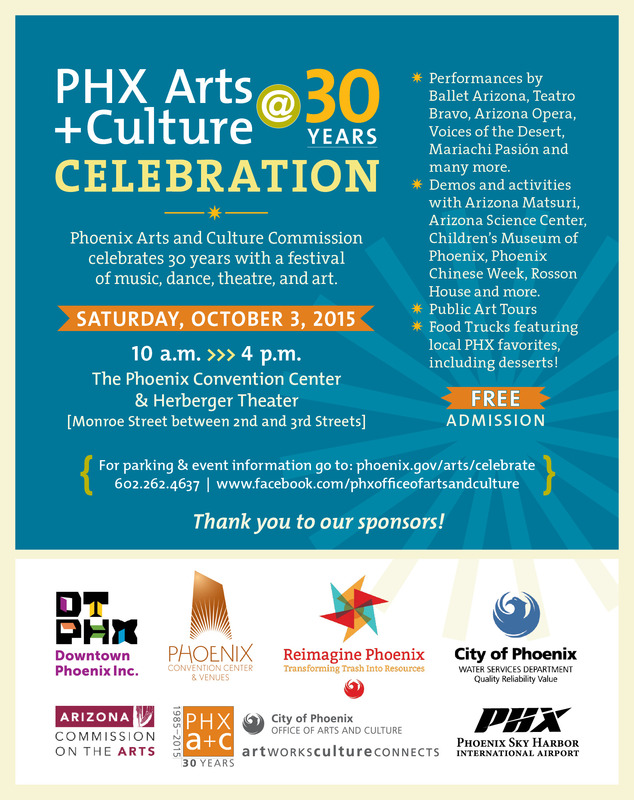 Join us next Saturday, October 3rd in downtown Phoenix for arts displays, demonstrations, performances and information by over 100 local arts organizations. AAG members will be demonstrating drawing and painting all day from 10-4 in Demo Room A of the Phoenix Convention Center. For more information about the event, click here. Don’t miss out on your chance to win beautiful wine, fine art and delightful objects to be raffled in order to support Arizona Art students through our AAG Scholarships Program. 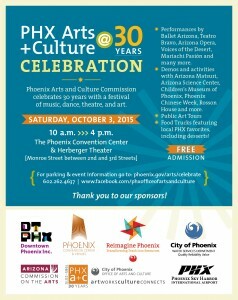 This would ensure that AAG remain a major supporter of Arizona’s art students. Be a part of their success! “portrait of a small child” giclee by Gayla Bonnell. To purchase raffle tickets, click the paypal button. For more information on how to apply for a scholarship click here.